MILLIGAN COLLEGE, TN (Nov. 13, 2013) — Journalist Jacqueline Holness will speak at Milligan College on Thursday, Nov. 21, at 11 a.m. in the Mary B. Martin Auditorium of Seeger Memorial Chapel. The event is free and open to the public. Holness has more than 15 years of experience writing for an assortment of newspapers, magazines and websites. She currently serves as a columnist for The Lookout magazine and as a regular contributor to Urbanfaith.com. Her articles have appeared in Upscale magazine, the Atlanta Business Chronicle newspaper, Atlanta Tribune: The Magazine, Atlanta Home Improvement magazine and Movieguide. In 2012 and 2013, she won an Atlanta Association of Black Journalists award for her business reporting with Atlanta Tribune: The Magazine. Her first book, “After the Altar Call: The Sisters’ Guide to Developing a Personal Relationship With God,” is based upon her spirited and sometimes irreverent blog of the same name, afterthealtarcall.com. The book is comprised of interviews with 24 remarkable women with compelling stories such “The View” co-host Sherri Shepherd; Valorie Burton, life coach, author and co-host of the Emmy Award-winning show “Aspiring Women;” and Bishop Vashti Murphy McKenzie, the 117th elected and consecrated bishop of the African Methodist Episcopal (A.M.E.) Church and the first woman elected to Episcopal office in more than 200 years of A.M.E. history. 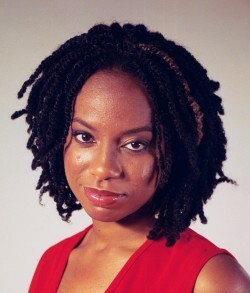 Holness received her bachelor’s degree in magazine journalism from the University of Georgia (Athens, Ga.).